Created 4 Creativity : It's Cinco De Mayo ! It's Cinco De Mayo ! Just a quick note to my new website friends. I hope Cinco de Mayo has been a good day for you. Now, I know that not EVERYONE finds joy in the details. But I do. It makes me happy to spend time obsessing about every last detail. 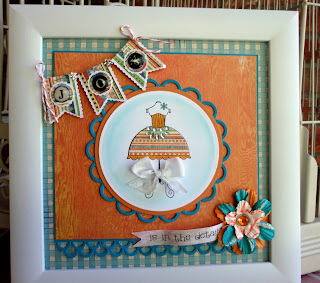 When I was finishing up this project, I couldn't believe that I had orange baker's twine in my stash. Now that detail just plain made me joyful! It took a couple of tries to get the focal image just right, but I was pleased with it finally. I stamped the dress form on both white card stock and then again on the patterned paper. Then I pieced the patterned skirt over the one on the white card stock. I used my Copic markers and Copic Spica markers to color in the top and the ruffle and then added some bling and a bow. 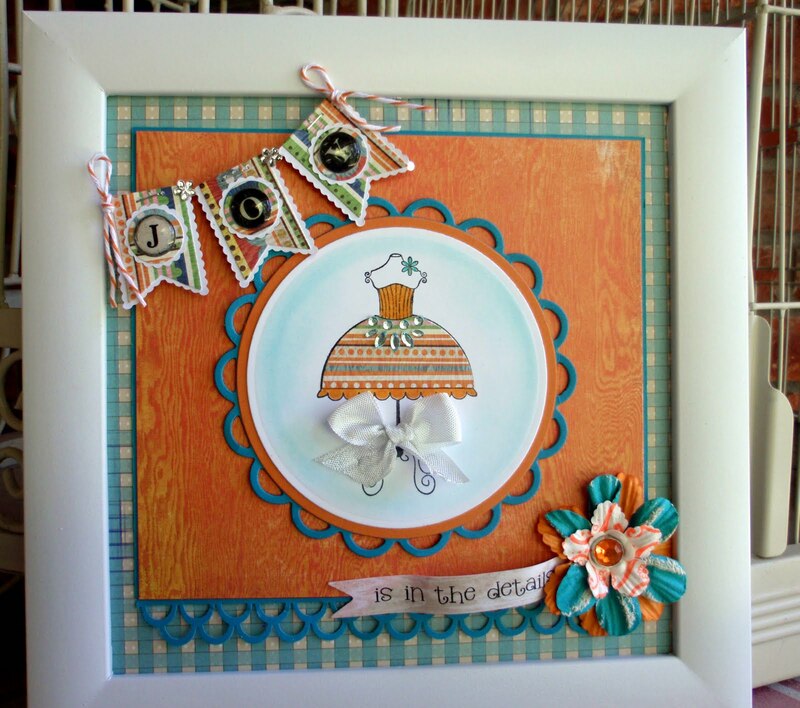 I used a Classic Circle Die from Spellbinders and then the Lacy Circle Die behind it for my focal image. I have several different small banner dies sets - but this one is from MFT Stamps. All of the pieces (banner mat, top banner, circle mat and circle) come from one die. Easy peasy to use. I typed my sentiment and then cut it out with a long banner die from Spellbinders. This was a fun project to put together. Maybe you'll grab an empty frame and fill it soon with something wonderful too. I hope you enjoyed my Fiesta colored frame project today. If you like my site, I would invite you to sign up to receive email updates. Just use the link to the right. I'll be back tomorrow with more projects to DIE for. In the next few days I will share some of the sites I use the most for die purchases. No reason you shouldn't visit them too. To make it easy for you, I've supplied links below for the products I've used. Card stock from Stampin' Up. Love this frame, it's absolutely gorgeous! Love the little dress, and the fab banner, and the terrific shading. Thanks for joining us at The Ribbon Reel this week!